Two years on from this media interview, I personally feel the climate has changed. There are more social groups for migrant professionals and home makers coming into the region. Thanks to great journalism, social media and recognition that international students and migrants do bring positive investment to the country and want to make a difference and contribution. With the dichotomy political housing investment and crisis in larger city centres such as Auckland, we have observed the retur of the local and other regional Kiwis choosing to moving to a sustainable province of Taranaki. We can observe that New Plymouth has turned in to a mini-cosmo city. I meet people from all around the world here, good friends made from Venezula, Brazil, South Africa and of course my heartfelt kiwi mates. I shall take this moment to appreciate the wonder Economic and Tourism Development agency- Venture Taranaki and their team who truly celebrated when the priced accolade of ‘world 2nd best place to visit’ named by Lonely planet was bestowed this year to Taranaki. It is home base where I have settled for close to 9 years, and now I am ready to travel where my entrepreneurial journey takes me to visit and build bridges next. New research shows that by 2025, Taranaki will have undergone dramatic demographic change. Faced with an aging population and depleting workforce, increased immigration could be one fix to help keep the region thriving. With policy changes pending, Deena Coster reports on the role our own attitudes could play. Despite being accepted into New Zealand under its skilled migrant policy, Pang still had to deal with her fair share of raised eyebrows when she first got here. 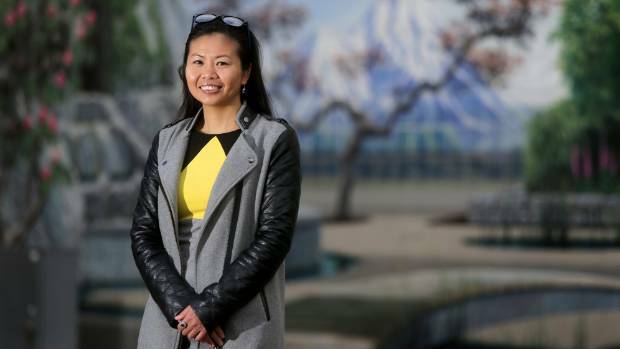 Rosalina Pang, who emigrated to Taranaki from Singapore in 2008, calls the region home now but says the first two years were tough. Now a permanent resident, Pang often provides support to new arrivals in the city and in her opinion, the first 12 months were make or break for them. While some have left behind corruption, crime and pollution in the hopes of finding a better life here, how they were received upon arrival could make all the difference to whether they decided to stay or go, she says. And recent research released by Massey University suggests Taranaki may need to take a hard look at itself and its current attitude to migration. Demographic changes are looming, with New Plymouth’s population set to get a lot older by 2020. Those aged over 65 will outnumber children by 2021 and the region’s workforce will also take a hit with 15-25 year olds often leaving the province never to return. This week, distinguished Professor Paul Spoonley and his team presented their research findings to a public forum, outlining the challenges Taranaki faces and some of the potential solutions. Spoonley says while Auckland is set to get bigger, Taranaki’s growth is projected to stagnate over the next decade, impacting on the labour market, business and other services. Rolling out the welcome mat for more immigrants is something Spoonley thinks will help Taranaki boost its population numbers and bring new talent, skills and thinking to the region. Only one out of every 100 immigrants ends up in the province now but if the region had its own specific skilled migrant policy, it had all right ingredients to be appealing. This was the hook which attracted Pang too, drawn to the district by its landscape, fresh air and smaller size. She says migrants often took on jobs where there was an identified shortage or where employers had difficulty with recruitment. But for all the perceived muscling in, Pang, who runs her own business, says migrants spend money too, contributing to the local and national economy. Benefits migrants could bring to regions like Taranaki have been identified by central government too. 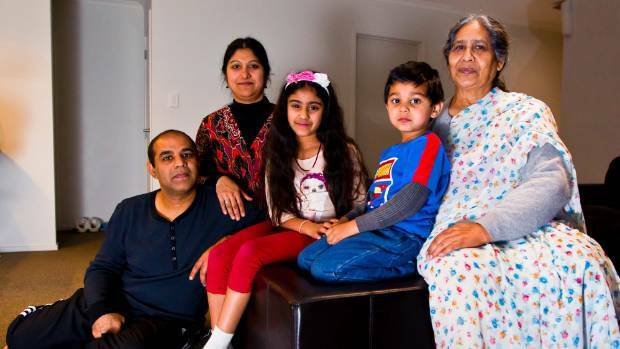 Migrating to New Zealand from India has worked out well for Anurag Jauhari and his family, wife Abhilasha Shrivastava, Vrinda, 7, and Vihaan Jauhari, 4, and Anurag’s mother Prem Jauhari. This week, Prime Minister John Key announced changes to the country’s immigration rules, designed to encourage new migrants to head to places like Taranaki. From November, people who get job offers outside of Auckland will now get 30 points toward their application but they will have to commit to staying in the region for a year. Labour leader Andrew Little agrees in principle with the government’s new policy but says “creative thinking” around jobs and opportunities for new migrants also needs to be considered. Pang reckons initiatives to encourage racial harmony are also key and while it was good to open the door wider for migrants, communities need to be prepared to accept new cultures as well. So just how prepared is Taranaki for a potential influx of new immigrants to the region? Recent census data shows the region has actually become more monocultural since 2006. Just over 9 per cent more people identified as being of European descent in 2013, the biggest shift of all ethnic groups recorded. The next biggest group represented, Maori, only recorded a population increase of about 1.6 per cent. Services for new migrants along with information and support from the district’s councils are already in place for people who choose to settle here. Civic leaders like South Taranaki mayor Ross Dunlop say they are very supportive of more diversity in their communities. “The very nature of our smaller communities tends to make it easier for migrants here to know, be involved in, and supported by the community,” he says. But last month’s outcry about potential traffic chaos connected to a proposed New Plymouth mosque, the heated Maori ward debate which ended in a resounding thumbs down in May to representation of tangata whenua on the New Plymouth District Council and the reported growth in membership of a white supremacist group in the region could indicate that a multi-cultural shift may still be difficult for some to swallow. According to Anurag Jauhari, it’s usually only the vocal few that make all the noise on issues like immigration. A resident in New Plymouth since 2005, Jauhari says he has always felt welcome here and intolerance was an issue all societies faced, including in his homeland of India. His dream was always to find a quiet, safe place to settle down in, a haven from the smog and crime of Bombay, where he worked as an animation film-maker. While he was initially one of the 5,000 or so migrants who land in Auckland every year, the vibe there did not appeal and he made the switch to New Plymouth. Now the 43-year-old can’t imagine living anywhere else and since moving here he has married and become the father of two children, aged 5 and 7. His mother also moved from India to live with the family. “We are committed to staying here for a long, long time. I may even die here,” he says. Although the move to Taranaki meant sacrificing his film career, Jauhari has no regrets.